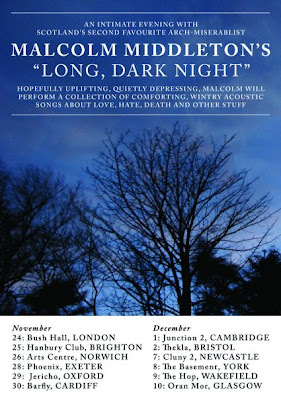 Malcolm Middleton is doing a tour in December, look at the poster for dates. Personally I’d have ranked him as my number one arch-miserablist. not at all. Tis a wonderful poster that captures him perfectly.